Meeting times vary as listed below. New Trends in Philanthropic Behavior by Gender: Will Mars and Venus Converge? Do you want to improve the results when you ask for charitable contributions? Have you ever wondered how to get free from assuming how to ask and guessing what to ask? Would you like to employ simple, effective, proven techniques for soliciting contributions and recruiting volunteers? Kent Stroman, Stoman & Associates, will share techniques that you can use to assist donors in maximizing their philanthropic experience, cultivate gifts more confidently, and find larger donations. Regarded as America's ASKING Coach, Kent Stroman is a talented speaker, insightful advisor, effective communicator and published author. He has an appeal that transcends barriers of age, culture and occupation. Since 1976 he has been involved in teaching and organizational leadership, impacting numerous organizations with his passion for excellence. 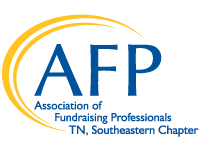 Kent is a CFRE (Certified Fund Raising Executive) and CPA (Certified Public Accountant).